So... If you use Pinterest, you more than likely have a bunch of projects that you'd eventually like to do, right? Right. I don't think I could compute the amount of money or number of lifetimes I would need in order to complete all the projects I have discovered. And that's if I stopped pinning today. Yeah right, like that is about to happen. 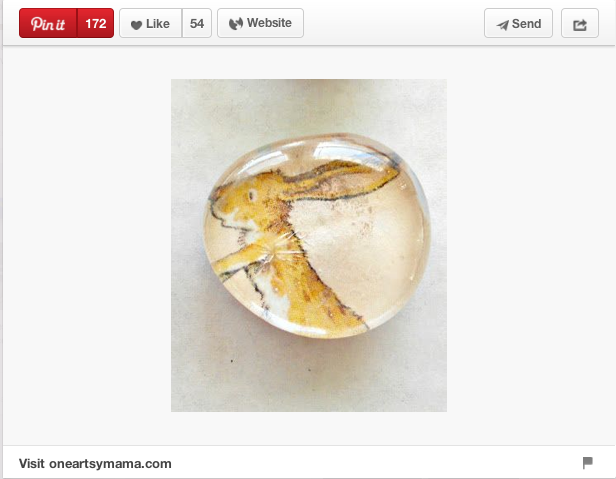 The concept is really quite simple... Find images you are interested in and that are approximately an inch in diameter or less, Mod Podge the back of a clear glass mosaic stone, add a magnet and you are all set! Amy at One Artsy Mama gives great directions, complete with images, the only tweak I made was by adding an extra layer of Mod Podge to really lock the image in. Also, I have been collecting classic used children's books from thrift stores and using them for a variety of projects, this one included (my husband about fell over when he saw the librarian taking a scissors to Dr. Seuss. I assured him that I would only be using incredibly well-loved books that were nearing the end of their read-ability and this was giving them a second life). I meant to put my Reader's Reef board together a month ago, but then the Seahawks went and got into the Super Bowl (yaaaay!) and I put up a football bulletin board. This meant a change in my bulletin board schedule. 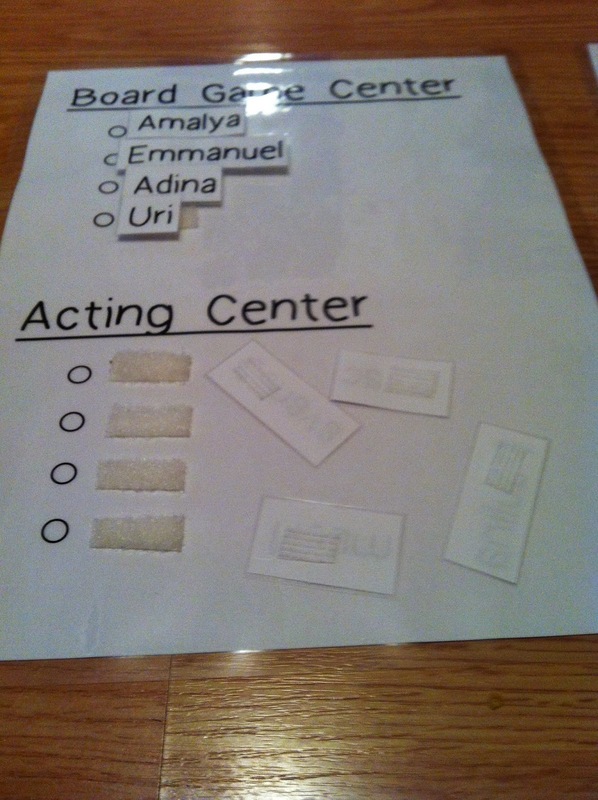 Yep, that's right, I schedule my bulletin boards in advance, sometimes as much as two months. It's because of Pinterest, really. There are just too many amazing inspirations, I have to devise a plan to bring all of those pins to fruition. My latest library bulletin board was inspired by Courtney and her stunning Teaching in Paradise blog. When I was looking for genre posters on TPT (and desperately wishing I could do graphic design), I came across this set from Ginger Snaps Treats (you can also find her on Teachers Notebook). I loved the poster set so much that I bought my own home laminator and now they are shiny and eternally beautiful. I found a fun ocean-themed clip art set from MyClipArtStore on Etsy and the color scheme just popped! I made some coral using construction paper, tempera paint and a crumpled paper towel and voilà! 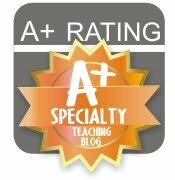 I took this project on as a favor to another teacher, but it quickly became a labor of love. It sure was a lot of work (and it's far from perfect), but I'm so pleased how it turned out. I just need to add labels and Hawaii and Alaska. Starting a new job is always scary. Heck, for me, being anywhere new is scary. So, when this email popped up in my inbox this week, I felt like I've found where I'm meant to be. I just wanted to drop a line as a parent [and a teacher] to rave about Becky! It was so exciting to go to the library the other day with [my son] only to discover that the floor was transformed into a street with tons of cars and more to play with. [He] was in heaven! So thankful for our creative and hardworking librarian Becky. She is a gem. Now, I share this not to toot my own horn, but because it's these little gestures that let me take a deep breath and go, okay, maybe I'm actually doing a good job at this. For today at least. This is my sixth year as a school librarian and I still wonder when I'm going to feel like I "know" what I'm doing. With that being said, my "Cars, Trucks and Things That Go Vroom" storytime had the type of energy that assured me I was on the right path. It was a reading-heavy storytime week, followed by some serious play! This was a favorite in my house growing up and it's still a timeless classic! 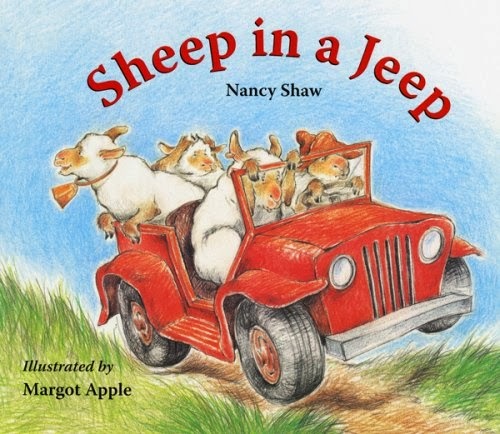 The kids love the rhyming and how careless the sheep are with their jeep. 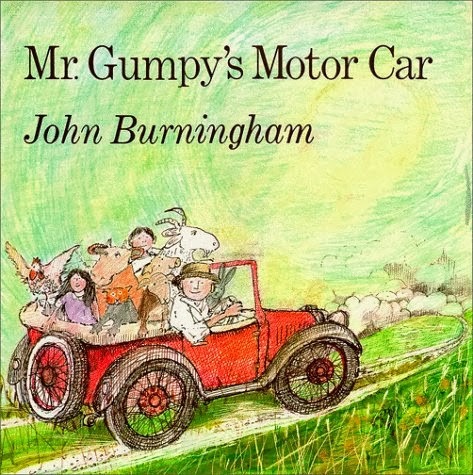 I think there is something so charming about the illustrations of John Burningham's books. The story is cute but the ending left the kids saying, "So what happened?" And my only response could be, "Nothing, they all went home." Followed by crickets... I love this book, but I don't think it lends itself well to a class read-aloud. As much as I love Richard Scarry (and I seriously love him! ), some of his books aren't very conducive to a preschool storytime. 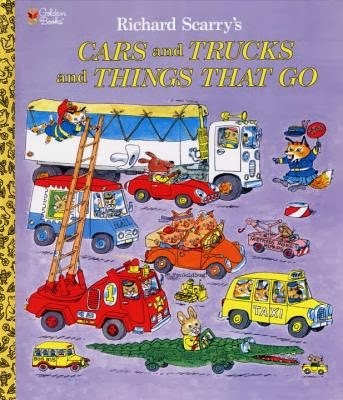 Cars and Trucks and Things That Go is a huge hit with the kids, but I simply read the first few pages, we found Goldbug (the adorable little insect hiding on many of the pages) and then I encouraged them to check it out and explore the pages at home. After singing the Wheels on the Bus, it was time to play! The track was made using masking tape (it has withstood some intense racing) and the stop signs and stoplights are laminated construction paper. Add in a bag of old Matchbox cars and you have endless fun! Before leaving, I gave each kiddo a paper steering wheel (thanks to Sunflower Storytime for this wonderfully simple and fun take-away craft). I later saw that some of the classes decorated their wheels and were "driving" through the school.